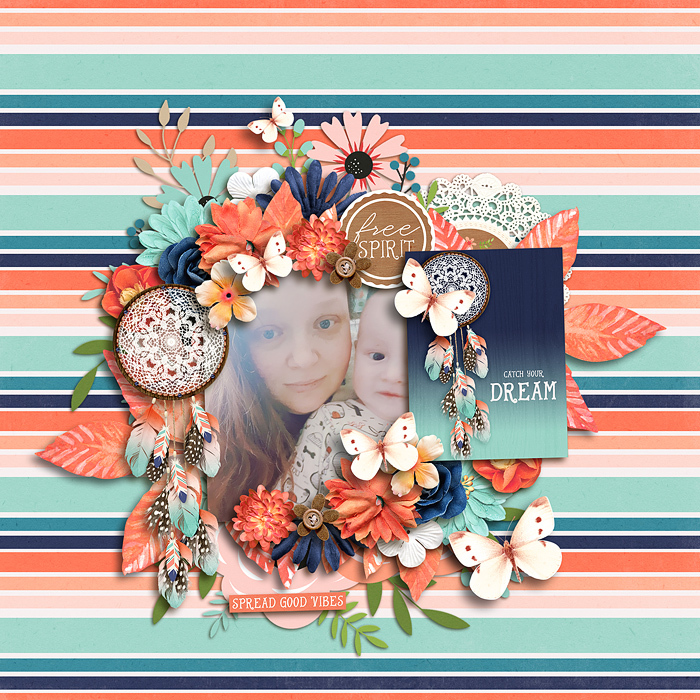 Today it’s time to introduce our April Scraplift Sunday challenge. 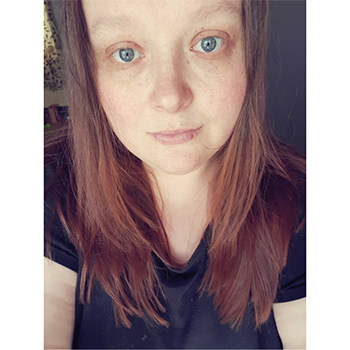 We enjoyed it so much when we had Wendy (Neverland Scraps) here with us in February that we thought we’d ask another of our long-time challenge scrappers to inspire us this month and share a little bit about herself with us. 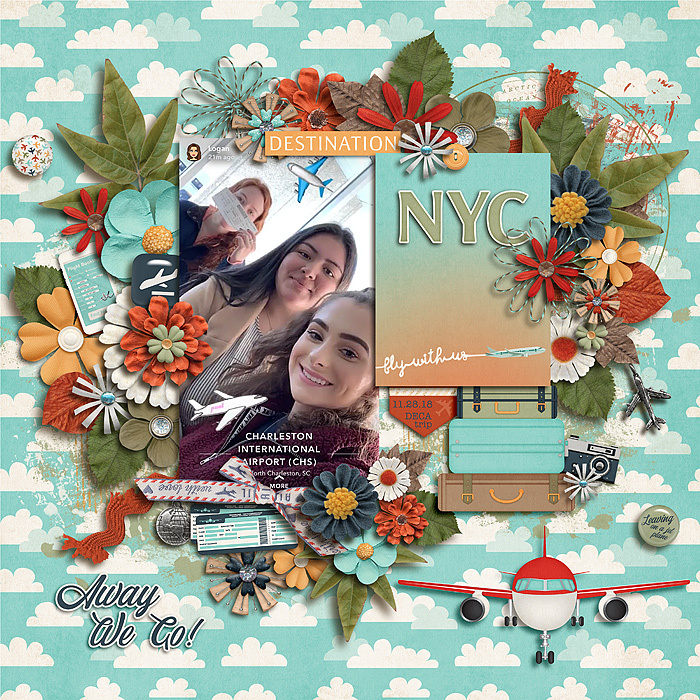 If you have participated in our Bingo and Passport challenges and followed the gallery of layouts from those challenges, you will know Gemma and the beautiful clusters that are part of her scrapbook style. Let’s jump in and see what she has shared with us. Welcome, Gemma! 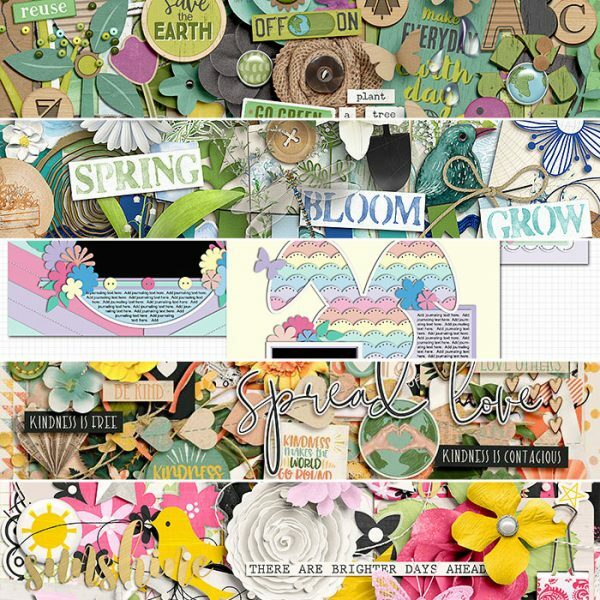 How long have you been scrapbooking? What got you started and what has made you continue? I started way back in 2010. I used to make signatures for people. 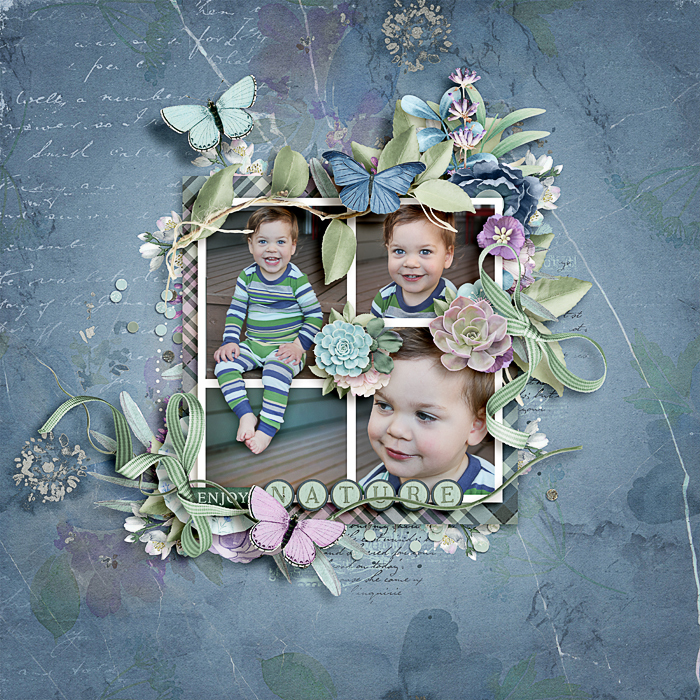 Sheri (a Sweet Shoppe Sugar Babe) also made them and she got me hooked on scrapbooking! 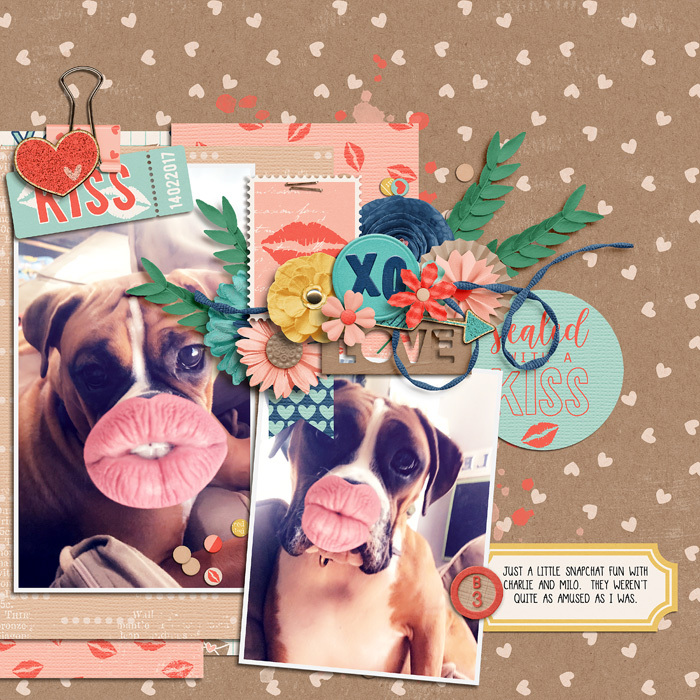 One day she had posted the most awesome scrapbook page and I decided I wanted to give it a go. I got a free trial of photoshop and got addicted from there. It was hard work at first and I spent hours and hours practicing. Then I found SSD and I got accepted on to Fee Jardine’s CT and from there I was hooked! 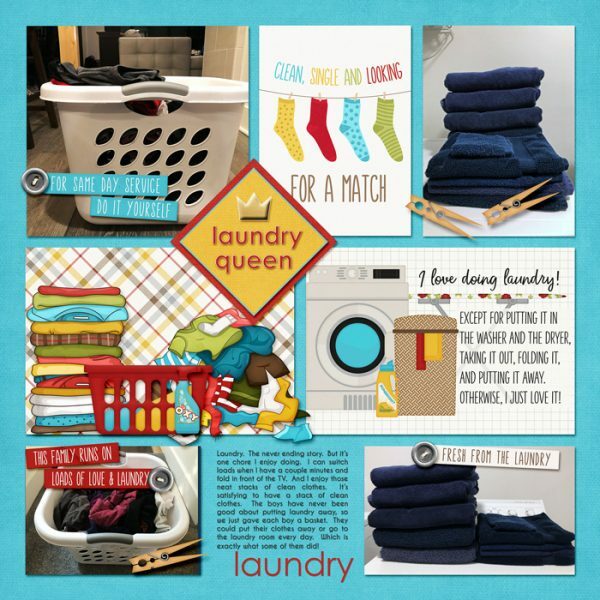 What are some things about your style of scrapping that are important to you? 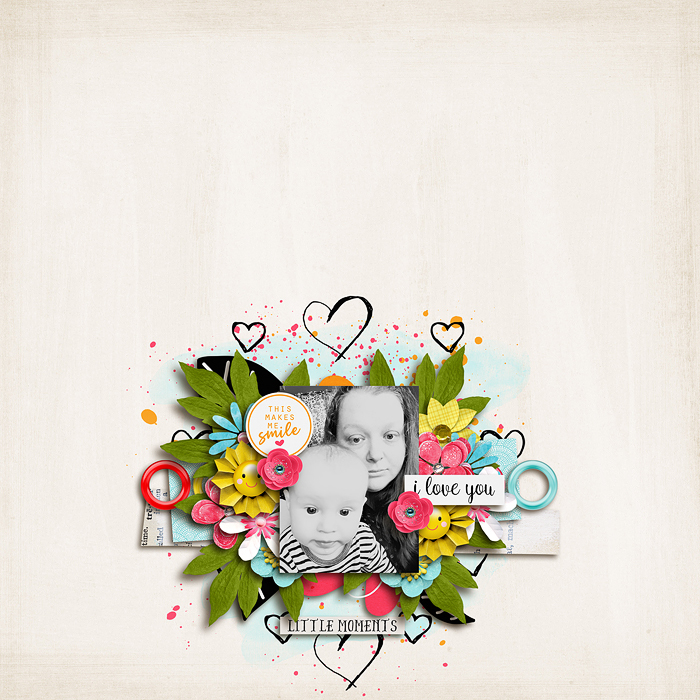 I LOVE using lots of elements and clustering them is my favourite thing to do! I can sit for a long time trying to get them right! Flowers and foliage are my best friends. 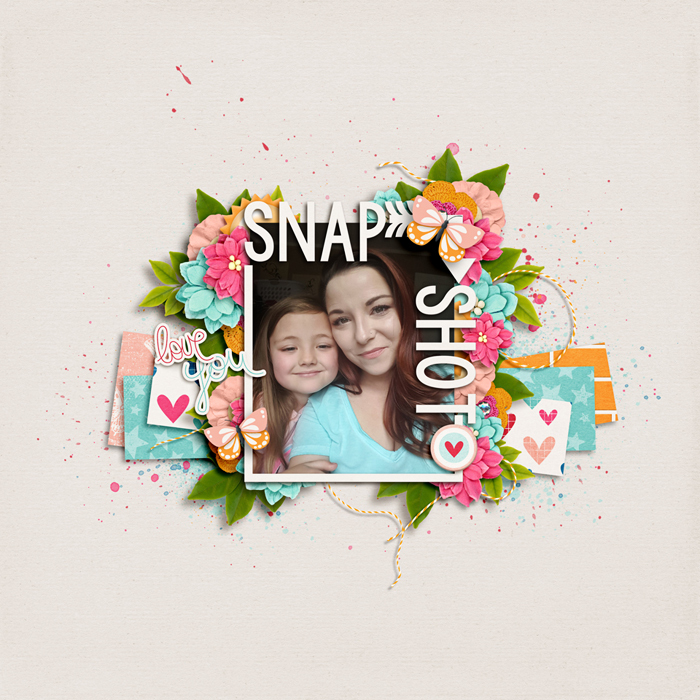 I am in awe of people who can do simple pages because it doesn’t feel right to me, they take more time than a busy page! 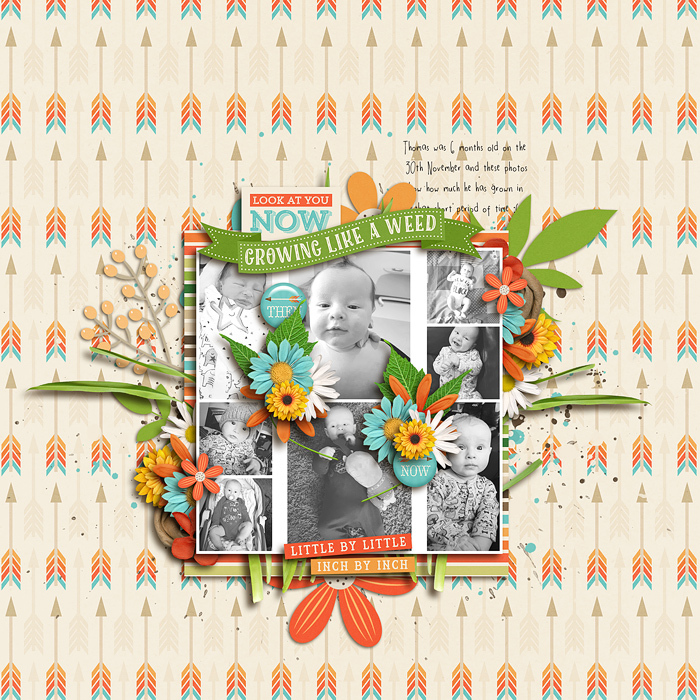 I also journal but I don’t often post that version in the gallery unless it’s for a challenge. I love playing with my shadows too. I made myself shadow styles so I always have a basic shadow to play with depending on the layers I am working with. If you could give one piece of advice to other scrappers, what would it be? If you start comparing, you end up looking at any faults you might have and you could start disliking all the pages you make. Remember that you’re scrapping for you and your family and that’s all that matters. 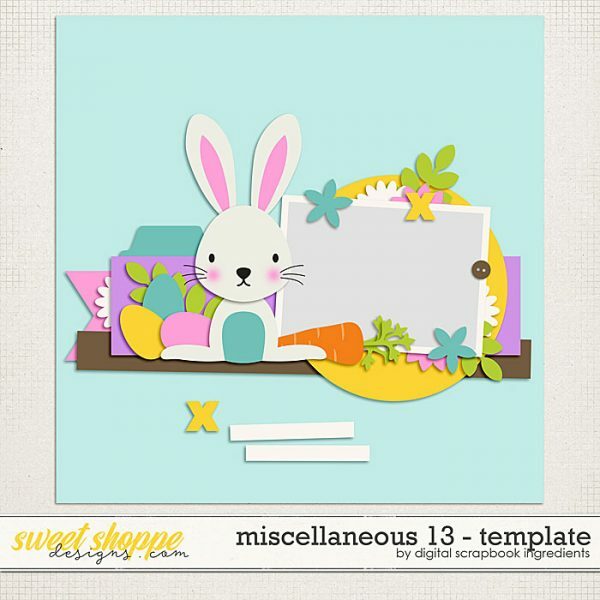 As they normally do, the Sugar Babes have jumped into the challenge and have lifted each of these layouts to give you a sample of what you can do. Good luck with all of you passport layouts this month!